Make One Call For Roof Repairs Or New Roofing In West Vancouver. A roof that is leaking, has been damaged by a storm, or is simply sagging with age can present a host of problems. But one call can solve them all, when you dial 604-370-6288 for Crown Roofing LTD. We’ve been the top West Vancouver roofing company for more than 100 years! Our roofing experts can provide a professional evaluation of your roof’s true condition, then present you with written options and estimates for its repair or, if necessary replacement. 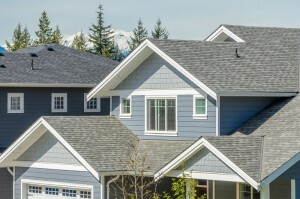 No other West Vancouver roofing contractor can match our level experience, or come close to the responsive customer service delivered by Crown Roofing. 1. We do quality work at fair prices – every time. There are no hidden fees, no cutting corners or skimping on materials. You can count on Crown Roofing for superb craftsmanship and exceptional customer service on every project. 2. We only install quality materials and products from the industry’s most trusted manufacturers. We’re certified roofing installation contractors for brand names such as GAF and Owens Corning. This means you’ll get a roofing system that has been proven effective. 3. Your new roof is protected by manufacturer warranties and our own guarantee of quality workmanship. 4. You’ll sleep better knowing that a Crown roof is over your head! Let us show you why Crown Residential Roofing has earn a reputation as the most trusted and reliable roofer in West Vancouver. Call us today with your roofing problem – whether small or large – and we’ll show you the kind of value you should expect from a roofing company. Whether you have an immediate need for roof repairs, or are planning to replace an older roof with a more efficient roofing system, we’d be happy to provide you with a written estimate at no obligation. Call Crown Roofing LTD today at 604-370-6288 to schedule a free on-site assessment and estimate.